June 2011 – In a repeat of the previous weeks’ state criterium championships, Michael Booth and Laura Howat (both Ski Utah-MarketStar) won the Bear Lake Classic Road Race. Held on May 14th under warm and sunny skies, the primary difficulty in the event was the wind. 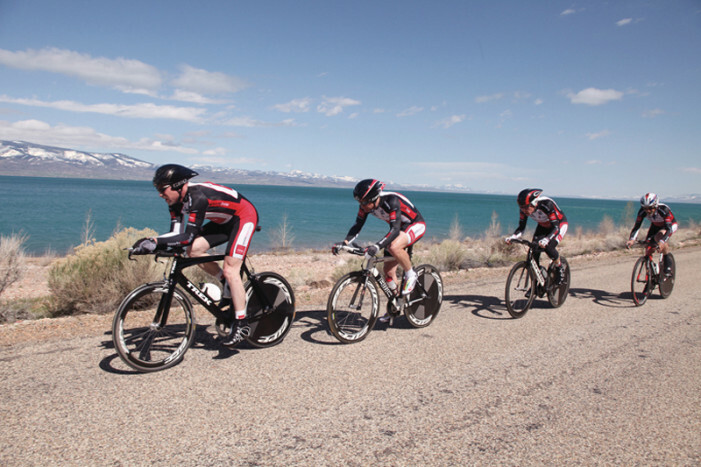 The Pro 1-2 men rode two laps around the lake, totaling just over 100 miles.